and Recycling We are family owned and operated and look forward to helping you find cost effective solutions to all your drum and industrial products! Choosing the company to handle your drum and industrial product needs can take some time on your part. 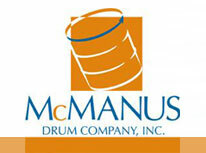 Since 1965, McManus Drum Company Inc. has been providing cost effective drums, containers & industrial products to clients all over the Southeastern United States.